If you've ever visited the Fanbrandz "2009 World Series Logo and Style Guide" tab, you might've noticed First Lady Michelle Obama and Second Lady Jill Biden getting upstaged by the one and only, Yogi Berra. 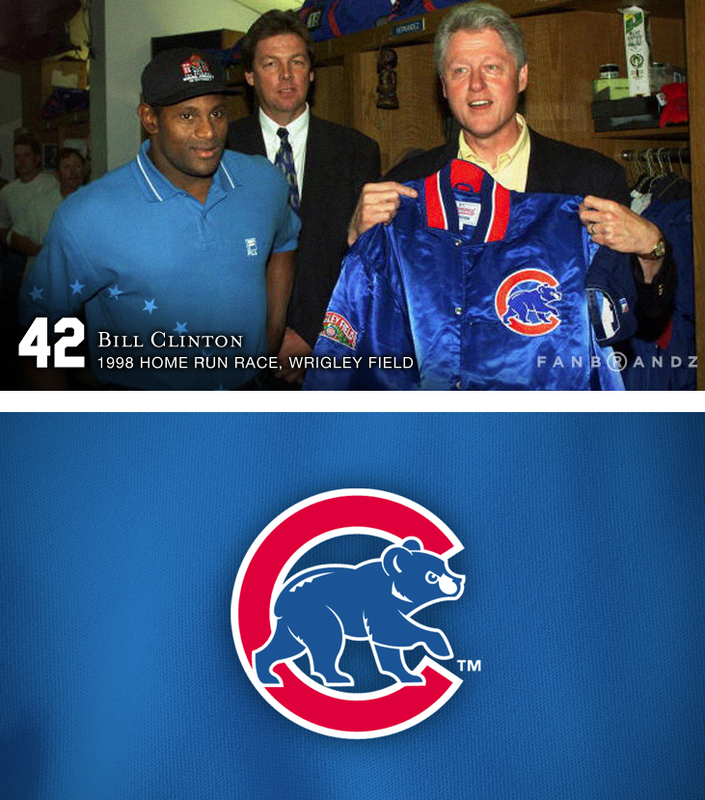 In honor of President's Day, we've collected some photos of the current and former U.S. Presidents wearing our marques. From Presidents George 41 and George 43 riding together at the 2010 Fall Classic, to Bill Clinton with Hall of Fame nominee Sammy Sosa in the locker room during the famous home run race of 1998, to Jimmy Carter wearing our at-the-time brand new Padres identity on Opening Day in 2004 at Petco Park, to current Commander in Chief Barack Obama sipping one of his famous "cold ones" during the 2009 MLB All-Star Game in St. Louis, chatting with Bud, we've got all the bases covered. Not to mention an NHL Anaheim sweater held by the one and only George W. Bush back in 2007 when the Ducks won the Stanley Cup! Check out the photo gallery below, and from Fanbrandz to everyone out there enjoying this fine Monday off from work ... Have a fantastic President's Day, and God Bless America!